76-year-old veteran actor Sean Connery is seeking to make a come-back as James Bond’s father in the next 007 movie. 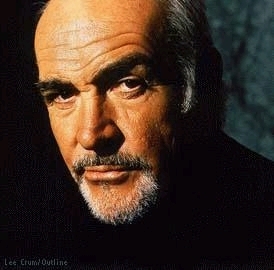 Connery has been “resting” since his role in the film, The League of Extraordinary Gentlemen, but would jump at the chance to play Bond’s father, if the producers can afford him that is. Connery reveals, “I am resting from acting. So you could say I’m retired. It would have to be something really considerable to bring me back. It would have to be an offer that you can’t refuse. “If there was a good part in a Bond film, I’d certainly look at it. Connery says the reason he backed out of the Bond movies was due to the overuse of spy gadgets, and his disappointing salary. Connery states, “I was getting disenchanted. Apart from the payment, which was puerile, they were bringing in a lit of science fiction stuff, like the poisonous shoe in From Russia with Love. Well, I for one wouldn’t mind seeing Connery as Bond’s father, what about you?